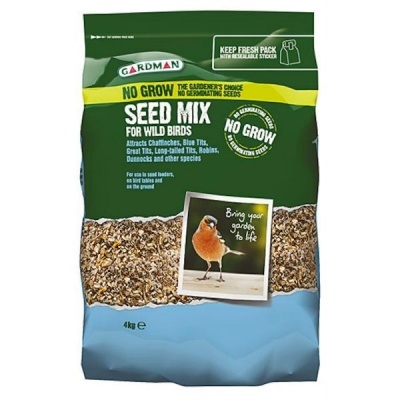 Gardman No Grow Seed Mix For Wild Birds 4kg bag provides a necessary and welcomed food source for a large variety of bird species. 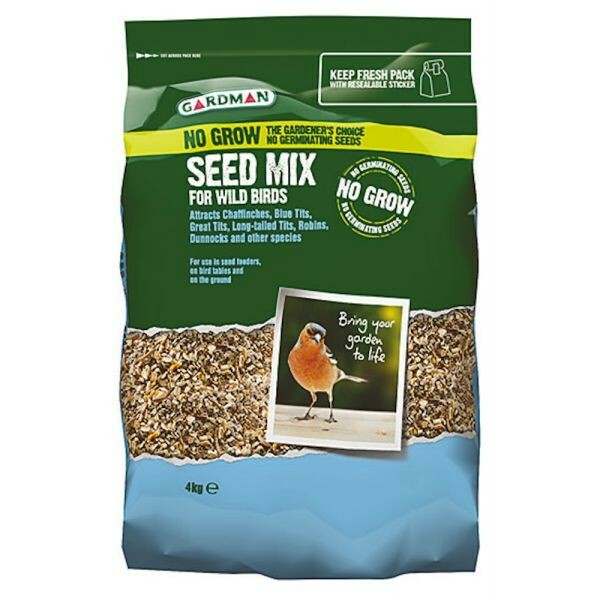 No Grow mix ensures no ingredients will germinate in the ground below when discarded by the birds. Suitable for use on bird tables, in seed feeders and for ground feeding. A premium blend with oil rich, high energy sunflower hearts, peanut bites and suet treats. 'No Grow' mix is The Gardener’s Choice to ensure no mess and no germinating seeds or husks on lawns & plant beds. Supplied in resealable storage bag to ensure feed is kept fresh and not attracted to squirrels, rats or mice when in storage.